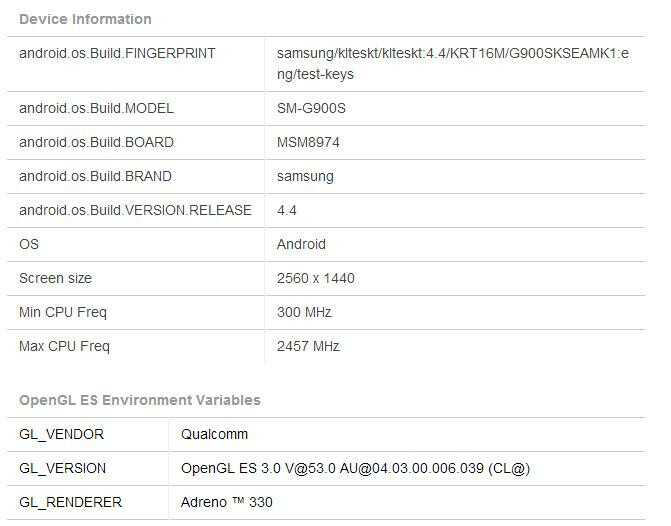 Probable benchmarks of the upcoming Samsung flagship phone have leaked. According to reports, the benchmark leaked on GFX bench. The Galaxy S5 has been the center of rumors and speculation. The S5 is touted to release in Q1 2014. You can see the details in the picture above. The supposed benchmark of the Galaxy S5 does not look surprising. It sports the much speculated 2k ( 2560 x 1600) resolution display. However with this huge bump in the number of pixels, the hardware supposed to be adequately bumped up. Ironically the Snapdragon 800 is the SOC running the whole device. The Adreno 330 used here is very capable of handling a 2k resolution phone albeit not optimally. The hardware used here does not suit a flagship phone carrying the “Galaxy” moniker. The leaked benchmarks are of a phone carrying the model number SM-G900S, u can see in the picture above that it is sitting at the top. These benchies are of Off-screen 1080p so the screen resolution wont affect the score. 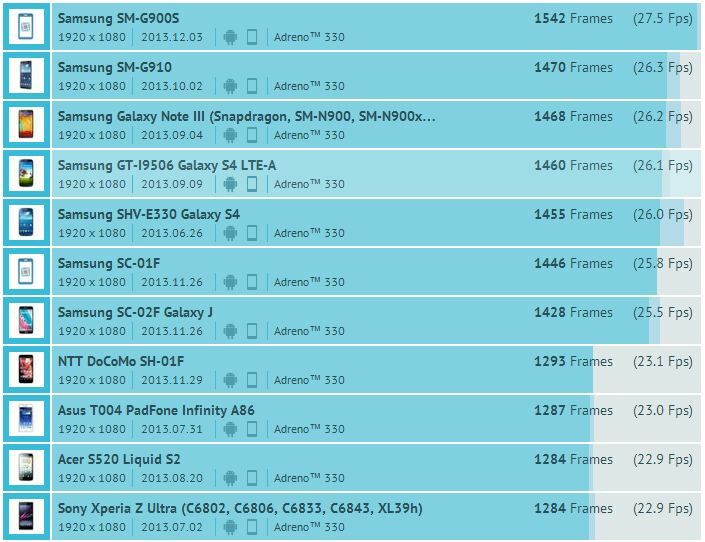 Now look when the same benchmark is done on-screen, the Adreno 330 is not able to cope up with the shear amount of pixels. 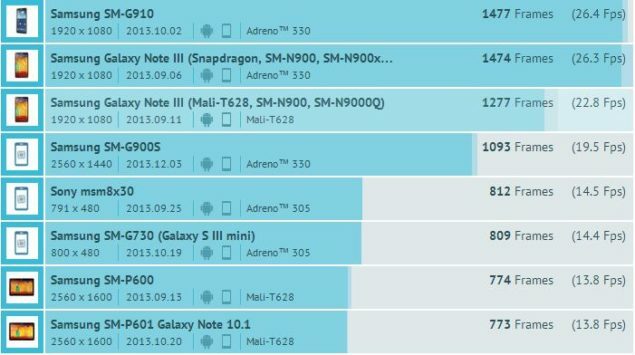 The Score drops to about 25% below the same Adreno 330 used in the Note 3. Again these are all speculations, judging by the hardware and the resolution this device is probably a tablet, Nexus 10 2 maybe?. Also one cannot possibly expect Samsung to repeat a generation of hardware in an ever-changing world of technology. Samsung Galaxy S5 Benchmarks Leaked on AnTuTu – 16 MP Camera Confirmed!